With a smart key, you can lock or unlock a door and tailgate and even start the engine without inserting the key. 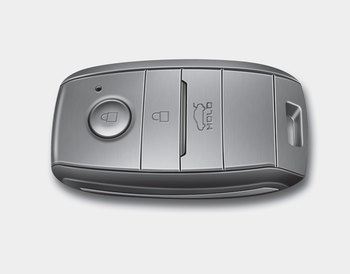 The functions of the buttons on a smart key are similar to the remote keyless entry. Refer to the “Remote keyless entry” in this chapter. 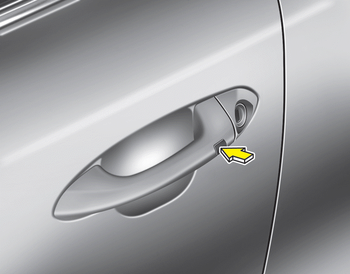 Carrying the smart key, you may lock and unlock the vehicle doors and tailgate. Also, you may start the engine. Refer to the following, for more details.